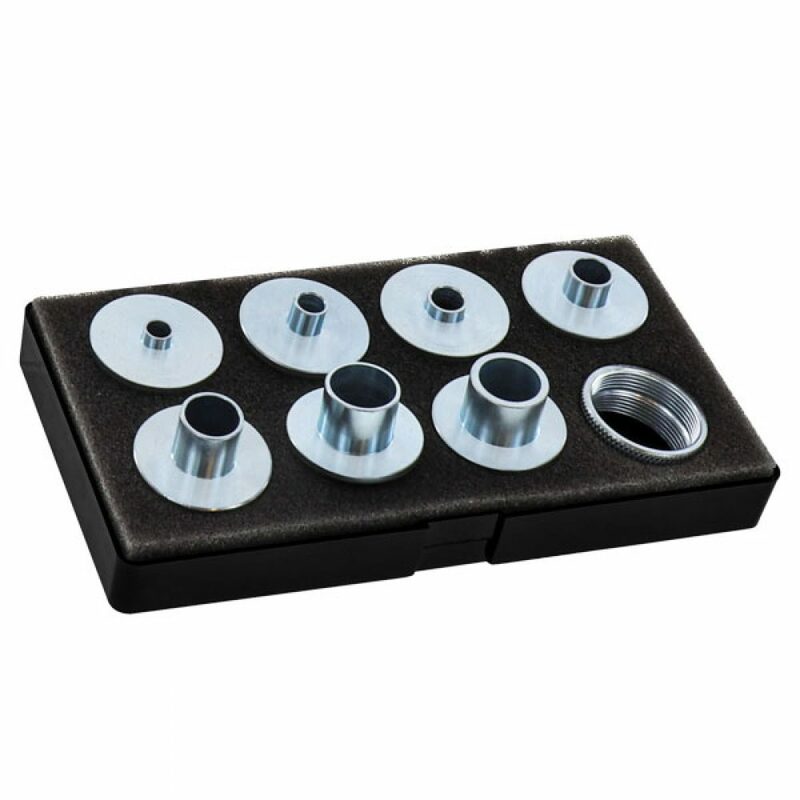 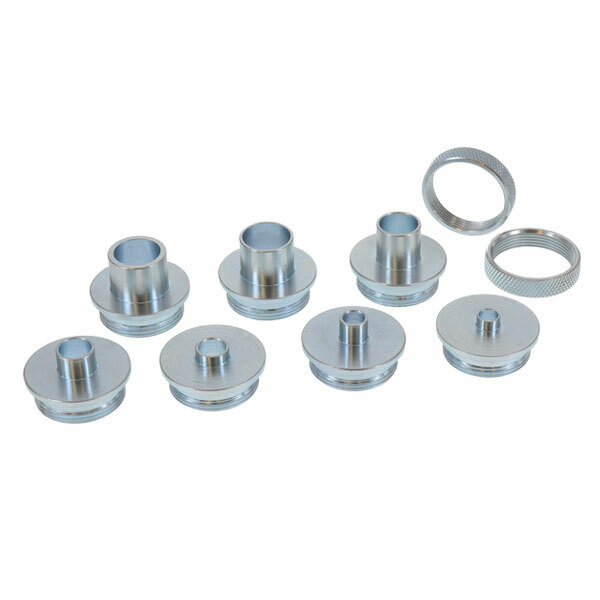 The Milescraft metal bushing set is comprised of seven carbon steel one-piece bushings, two locknuts, and one top hat adaptor. 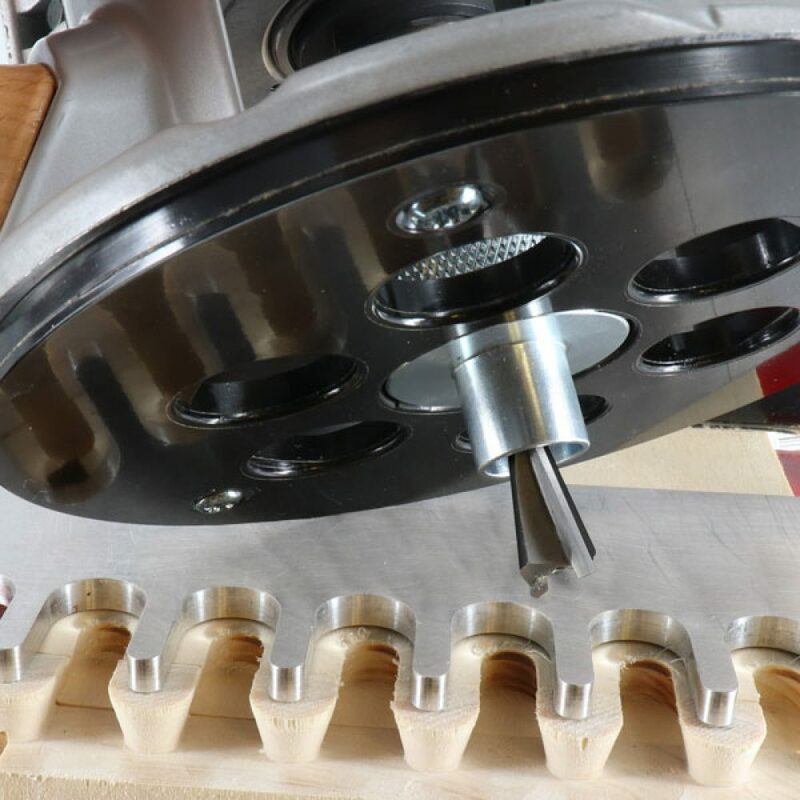 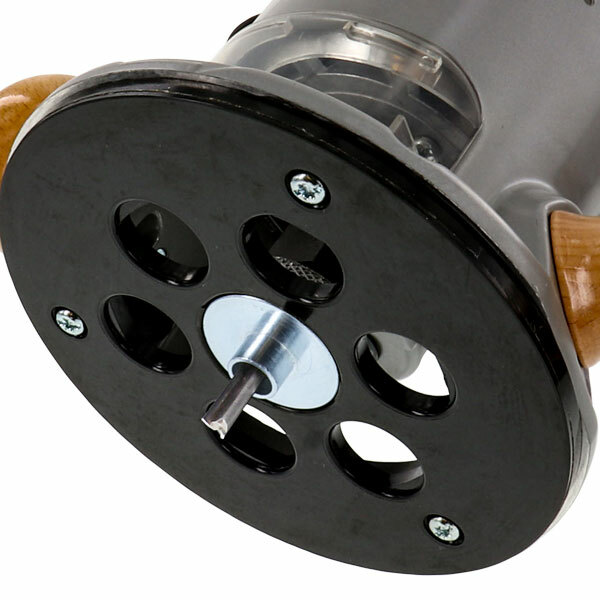 The router bushings have outer diameters of 5/16″, 3/8″, 7/16″, 1/2″, 5/8″, 3/4″, and 51/64″. 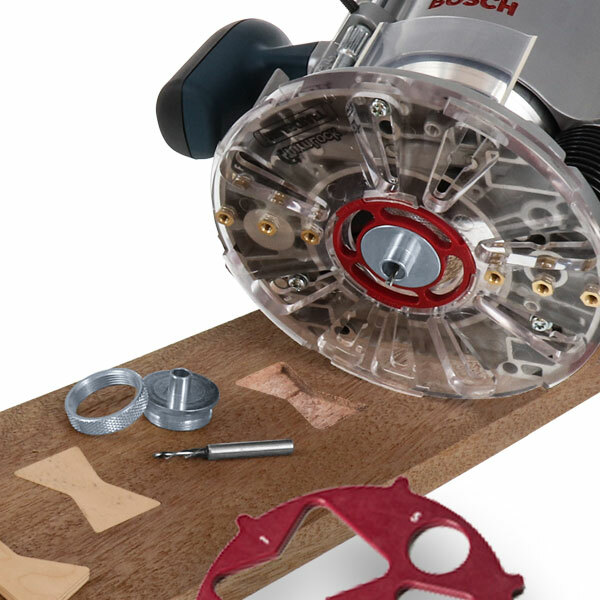 This router template guide set comes in a locking storage case with peg hook and a foam insert to keep the accessories in position. 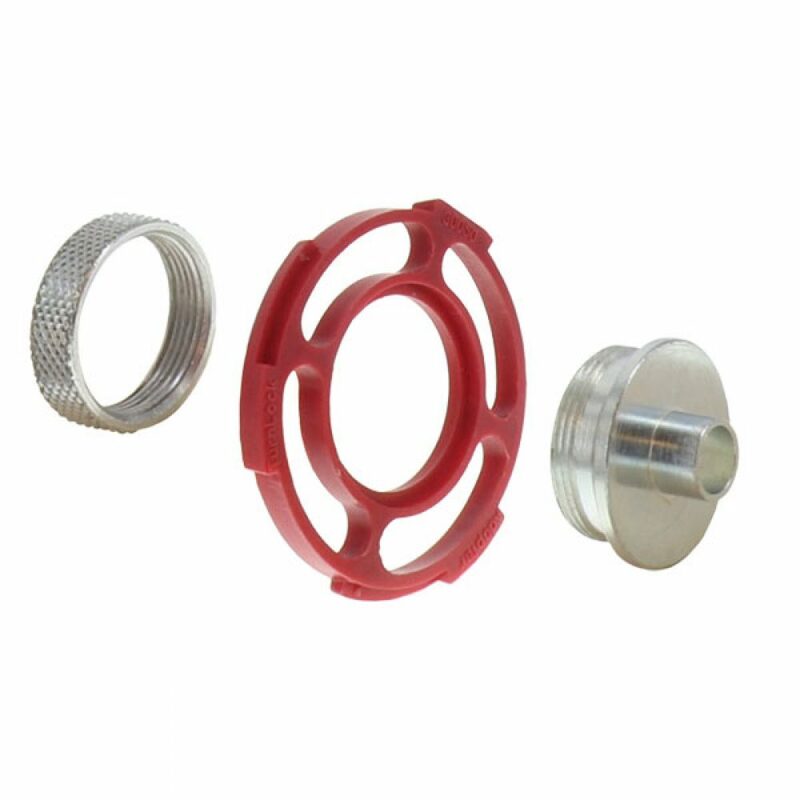 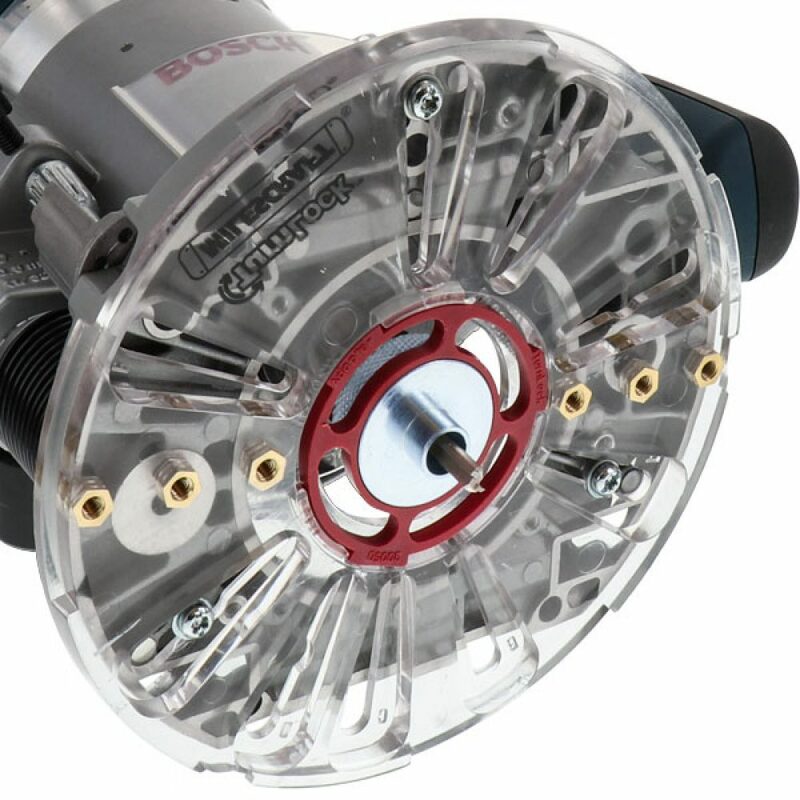 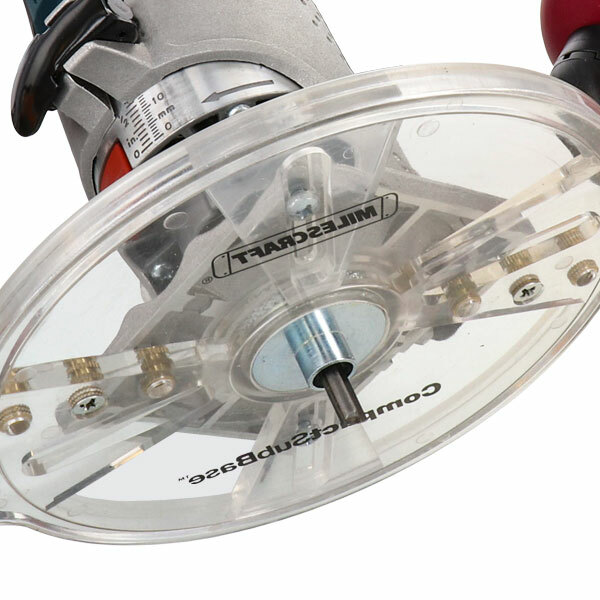 Compatible with all router sub-bases with a 1-3/16″ (30.2mm) center hole diameter and can be used with all Milescraft TurnLock products. 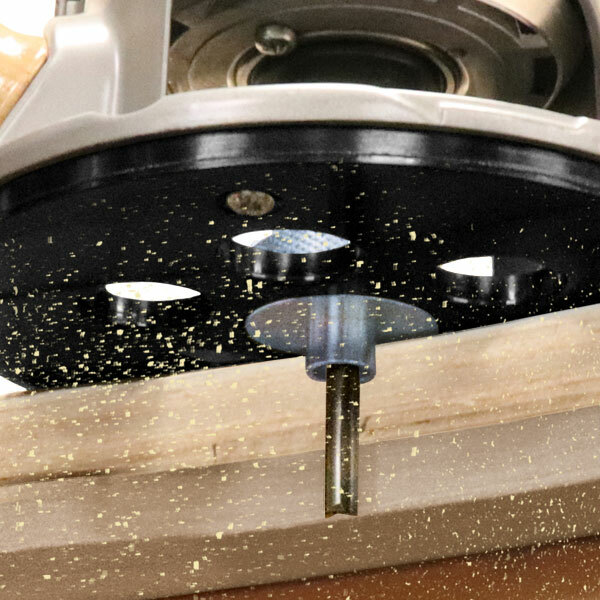 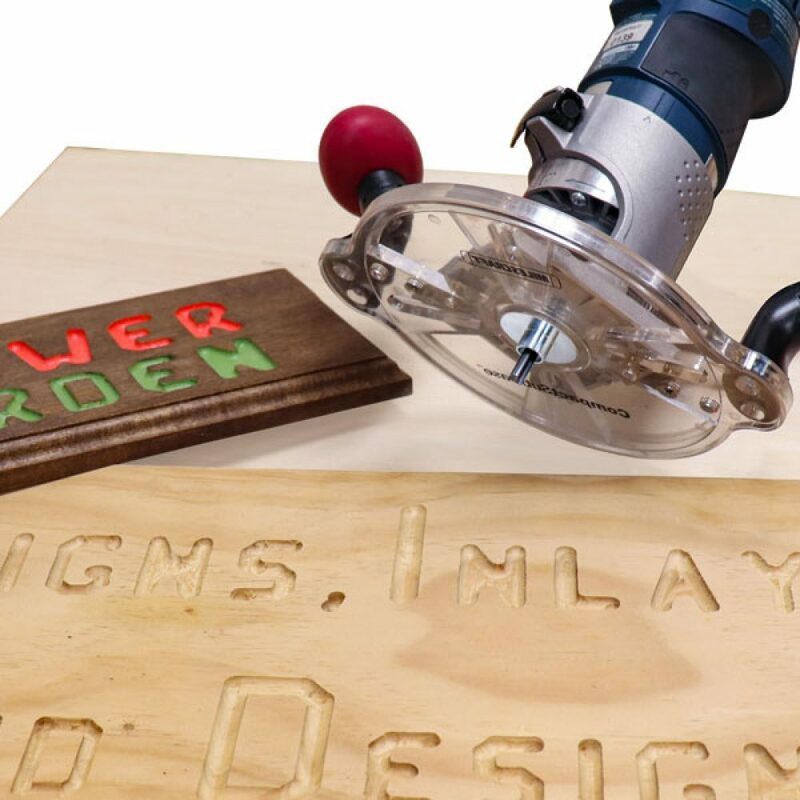 These guide bushings are great for use when dovetailing, sign making and inlay routing.